Why live anywhere else when you can own an amazing townhome in Denver's hottest neighborhood!? Stroll over to Coors Field for a game, walk a few blocks to Denver Central Market, or have an amazing meal at dozens of top-notch restaurants in RiNo. This spacious loft-style townhome boasts nearly 1,500 finished Sq Ft, 2 parking spots and a massive roof-deck with views of Coors Field. The gourmet kitchen would make any chef feel at home and features custom 3cm granite countertops, tons of cabinet space and stainless-steel appliances. The master bedroom takes up an entire floor and features a huge walk-in closet and large bathroom with oversized tub and shower. Let your imagination go to work on the flex-space that could be an office, guest-room, studio, workout room etc. The home has been meticulously cared for and the mechanical systems have been updated (furnace 2010 and tankless hot water heater 2016). 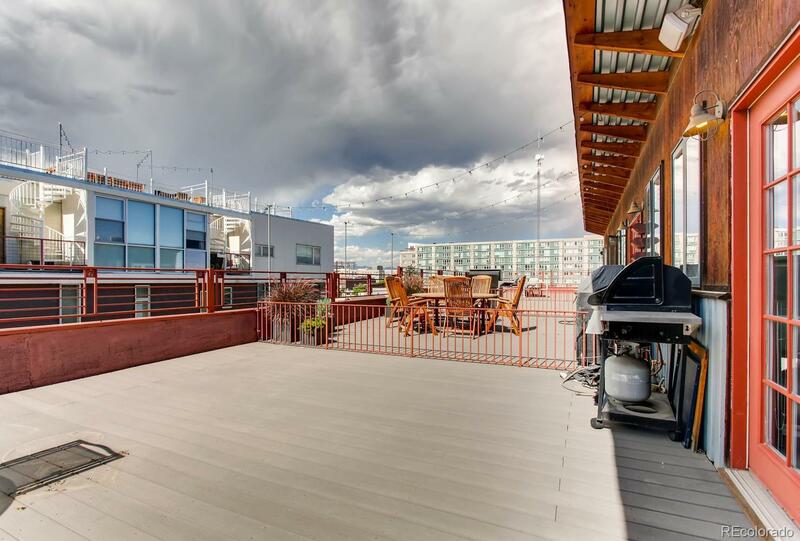 Compare this to anything under $500K near RiNo and you will not be disappointed!